The subjects of personal health and fitness are in the spotlight – perhaps more than ever before. From nutritional concerns to the benefits of exercise, modern consumers are paying attention to their bodies. The news couldn’t be better for professionals entering the field of personal training – they are in demand. Personal trainers are experts certified in principles of general fitness. In practice, career trainers work with individuals and small groups, prescribing safe and effective exercise programs. They also play a motivational role, inspiring their clients to get the job done. Applying knowledge, skills, and abilities learned in school and practice, professional personal trainers collaborate with each individual being trained, setting goals and establishing benchmarks for reaching them. As clients work toward their personal fitness objectives, trainers serve-up feedback and accountability to continually guide them in the right direction. If you have a flair for fitness and a desire to help people, working as a personal trainer puts your enthusiasm to work. For the best results launching a successful fitness career, pair your passion with comprehensive training from a reputable program. Once certified, you are ready to hit the ground running in this rewarding field. Effective trainers have a knack for creating interesting workouts, which should be productive, yet fun for participants. Beginning with a preliminary interview, the best trainers are able to find common ground with their clients; ensuring fitness recommendations truly reflect the goals of the individual. Is a client training hard in order to lose weight? Improve his or her general well-being? Or is athletic excellence at stake, calling for focused sports training? The answers to these and other questions shape a personal trainer’s approach with each client, resulting in custom-tailored training recommendations. Personal trainers are experts on the impacts and benefits of various cardiovascular workouts, strength training activities and flexibility exercises. With the client’s expressed goals in mind, training plans borrow from the appropriate disciplines, guiding clients to fast results. When progress lags or motivation wanes, it is a personal trainer’s responsibility to inspire better results. In most cases, altering the content or pace of a workout regime may be all that’s needed to synch trainers and clients, spurring the best possible outcomes. In addition to group and individual personal trainers, the field also employs specialists in areas such as yoga, sports training, corrective exercise and other disciplines. The fundamentals are the same across specialties, but additional education and experience help these trainers provide focused services in particular areas of expertise. For personal trainers practicing as sole proprietors or gym owners, job duties may also include business functions like personnel management, accounting, and promotion. As illustrated by the range of take-home potential in different employment environments, wide-ranging factors influence annual earnings. In fact, experience, specialization, and other strengths pushed the top 10% of working professional trainers beyond the $70,000 salary mark in 2015. Entry-level education requirements for becoming a personal trainer start at high school graduation, but an increasing number of employers are looking for certified professionals. Completing a standalone program earns CPT credentials and trainers can go on to add further specialties. An associate’s or bachelor’s degree in related coursework such as exercise science or physical education also serves as a background for personal trainers, boosting earning potential and employability. With advanced degrees – even master’s-level education, personal trainers climb to positions managing fitness operations, wellness centers, and other facilities. And entrepreneurs represent at least 10% of personal trainers, choosing to open their own clubs, take freelance work, or serve as consultants. Growth within the profession is expected to keep pace with other occupations through 2024, resulting in industry expansion of approximately eight-percent. Increased awareness and emphasis on the benefits of physical activity are thought to boost growth projections, as more and more facilities seek qualified fitness specialists. Long term career success as a personal trainer relies on a solid educational foundation, complete with classroom learning and practical skill-building opportunities. Personal training education and certification come from several recognized programs, often resulting in the designation of CPT. Beyond these entry-level vocational study tracks, two and four-year schools also offer advanced degrees in related subjects. The best approach to earning credentials depends upon your career trajectory, but completing a recognized course of study is a good start. The following examples highlight some of the popular learning models serving the profession. Bridging the divide between theory and the real-life benefits of personal training, CPT candidates are taught to conduct functional assessments and design individualized programs for each client. Corrective Exercise Specialization – Adding a corrective exercise certification not only expands knowledge and presence within the industry, but the extra credential can lead to higher pay. According to NASM, corrective exercise specialists make as much as 48% more money than their non-credentialed counterparts. In addition to these popular offerings, NASM also extends continuing education opportunities for working trainers. Several specializations can be earned as continuing education, including programs emphasizing youth training, nutrition, and training groups and seniors. The American Council on Exercise (ACE) certifies personal trainers. ACE programs are the result of more than 30 years of science-based research in the areas of fitness and training. As the world’s largest independent, non-profit health and fitness certification organization, ACE has prepared countless professionals to train individuals and small groups. Among the many schooling options currently available to aspiring professionals, ACE stands out for its proprietary Integrated Fitness Training Model. The program imparts the knowledge and abilities trainers need to guide their clients to long-term fitness. Creating individualized training plans, for instance, accounts for the needs of each client and is a core tenet of ACE education. To ensure high standards and consistent output, ACE maintains accreditation from NCCA, the top authority in related fields. Depending upon your marketing and promotional plans – and where your passion lies, one of two ACE programs will move your career forward. The Certified Personal Trainer (CPT) credential is best suited for would-be professionals planning to work with individuals. And since wellness programs and other personal training outlets sometimes spread benefits to multiple people at the same time, ACE also offers a Group Fitness Instructor (GFI) certification. In addition to its industry-recognized credentials, the organization also serves as an advocate for the profession. ACE efforts not only influence policy for the benefit of personal fitness professionals, but the group is also active forging beneficial strategic partnerships in the private sector. The National Federation of Personal Trainers (NFPT) has been certifying personal trainers since 1988. The group’s NFPT – Certified Personal Trainer (CPT) course of study instills exercise fundamentals and other skills needed for entry-level employment as a personal trainer. The program is accredited by the NCCA, ensuring high educational standards are met. Focused on core principles and methods, coursework teaches students how to craft meaningful training plans and inspire results from clients. From training manuals to online material, resources are available to help students succeed. And NFPT practice tests lay the groundwork for earning a credential. Upon completion of instruction, students are eligible to sit the NFPT Certification Exam, offered at multiple locations. Continuing education credits are required for recertification and specialization. NFPT ensures all activities related to education are approved for CEC, so it is possible to stay current, without spending money on additional courses. Self-tests and refresher quizzes, for example, offer convenient alternatives for satisfying CEC requirements. Widespread industry organizations support the profession, through advocacy, lobbying, and research. The groups also play an important role promoting high standards and accountability among practitioners. At the same time, these professional support organizations directly assist professional personal trainers, offering education, certification, continuing education, and other essential tools for fitness authorities. Comprised of 140 scored questions, the challenging exam tests knowledge and abilities in key areas, such as functional anatomy, exercise techniques, and fitness testing. Each exam includes 25-35 image/video items, requiring CPT candidates to apply their practical understanding of training theory and methods. In addition, NSCA’s Foundation also supports education, furnishing grants for students pursuing strength and fitness training education and research. Available grant programs support all levels of education, including master’s degree work. Membership is offered at multiple levels, giving students and practicing professionals access to various resources. Depending upon the membership selected, benefits include industry discounts, access to scholarly publications, trade magazines, career services, and sponsored events. IDEA Health and Fitness Association is currently celebrating its 35th year serving as an industry advocate for fitness professionals. With a membership of more than 250,000 individual practitioners, IDEA claims extraordinary benefits for its followers. According to IDEA data, professional members of the group earn 74% more money than their non-member counterparts. And those aligned with the group reportedly remain working in the industry 60% longer than fitness professionals without IDEA membership. Benefits of working with IDEA include access to resources such as journals, newsletters and a library of relevant articles. Insurance discounts are also available for members in good standing. For more than 30 years, IDEA has hosted industry conferences and conventions for the benefit of fitness professionals. The events bring together industry stakeholders such as personal trainers, group instructors, fitness bloggers, business owners, mid-body experts, program directors and committed fitness enthusiasts. The Association also supports continuing education, offering stand-alone courses and continuing education bundles, which furnish affordable alternatives for meeting CE requirements. Each program prepares enrollees for entry-level employment in specialized fitness roles. The CPT study track is offered through vocational schools and universities, leading-up to a comprehensive exam, testing knowledge, skills, and practical training abilities. Once certified, period continuing education courses keep your credential up to date. The United States Registry of Exercise Professionals (USREPS) supports the important role of registered fitness professionals working in wellness, health care, and sports. Maintained by an organization called Coalition for Registration of Exercise Professionals (CREP), the voluntary registration process promotes awareness and confidence in exercise and fitness programs. CREP is comprised of members offering NCCA education. Through its registry, the group advances a cohesive and credentialed industry, capable of furnishing services at a high level. The CREP initiative currently recognizes fitness professionals such as certified personal trainers, group instructors, certified strength and condition experts, exercise specialists, certified Pilates instructors, advanced health and fitness specialists, and other designations. Increased health awareness is leading more individuals and organizations to seek personal training. 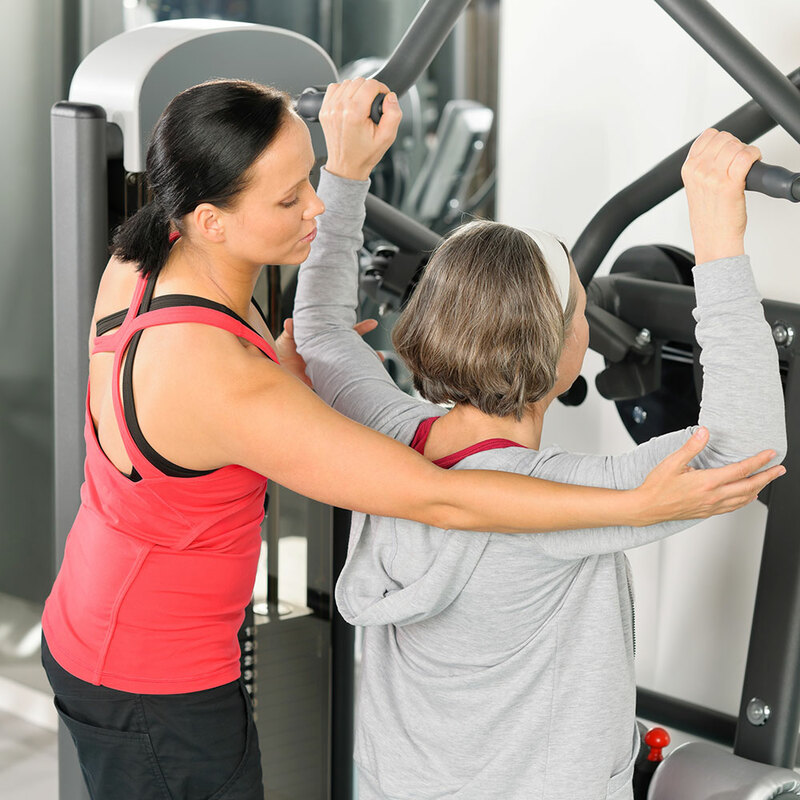 Whether it is an institutional commitment to good health, prompting a company to install a wellness center, or a sole individual contracting professional help; personal training services are in demand. When this rewarding career beckons, completing a comprehensive course of study puts you on the fast track to success. © 2010-2017 NaturalRemedies.org. All Rights Reserved.